Gurihiru Archives - Wait, What? 0:00-10:43: Greetings! For the third time or so?! A lot of problems we talk about briefly and then move right into the horrifying heat wave that moved through San Francisco, Graeme’s sympathy (or lack thereof), Jeff’s grumpiness (and hyper-abundance thereof), and more. 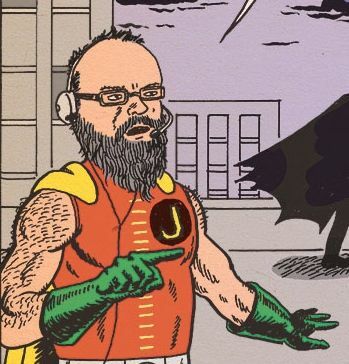 39:49-59:53: Moving from that and the reaction to our Star Brand readthrough, Jeff wants to wax rhapsodic about the sublime My Pretty Vampire by Katie Skelly, and the absurd Werewolf by Night Omnibus by Gerry Conway and Mike Ploog (at least at the point Jeff is at, anyway). But perhaps by discussing the two subjects too closely together, Jeff runs the risk of sounding like he’s doing the whole “these indy creators are terrific, but think how great they could be if only they were toiling away with no rights for corporate owned IP!” (Which is not where he meant to go with that, at all.) 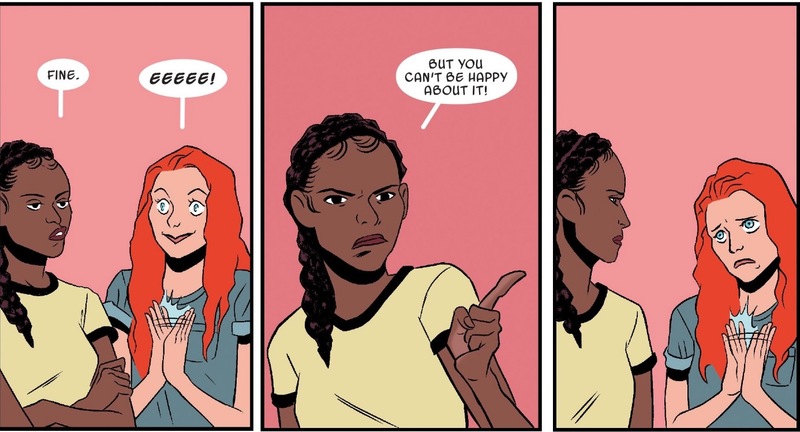 Also discussed: Dastardly & Muttley #1, the end of Secret Empire, and the very delightful Spider-Gwen #23 by Hannah Blumenreich and Jordan Gibson. 59:53-1:26:41: Speaking of idiosyncratic Marvel titles, Graeme, the recommendation of Jeff and others, went and checked out the most recent issues of The Unbelievable Gwenpool by Christopher Hastings and Gurihiru. And he’s got some questions for Jeff, first and foremost is: “why do you like this?” Ulp. 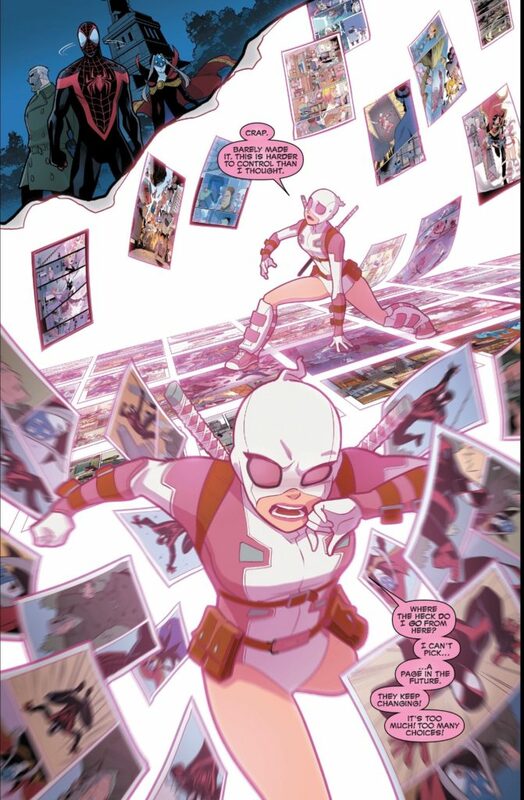 Also discussed: Gwenpool, Animal Man, The Punisher, plus a bit at the end about Spy Seal. 1:26:41-02:02:23: And then it’s time for a lively round of Graeme Has A Thought Experiment (That Jeff Reacts To Like It’s A Trap)! This time out: “How would you feel if 2000 A.D. gave Halo Jones to someone else?” Discussed: Marvelman/Miracleman, Watchmen, Doomsday Clock, Omega The Unknown, the late capitalism comfort matrix, and more. 2:02:23-02:18:32: Jeff has been dying to say a few words about Metal #1 by Scotty Snyder and Greg Capullo—not just for the majority of this episode but for weeks. RANT MODE ENGAGED (although it’s really more of a conversation because Graeme himself also has some things to say and some excellent points). 02:18:32-2:25:08: Other things we’ve been waiting to discuss and keep forgetting to: Graeme really liked Fred Van Lente’s 10 Dead Comedians, a very witty and clever take on Agatha Christie’s And Then There Were None! 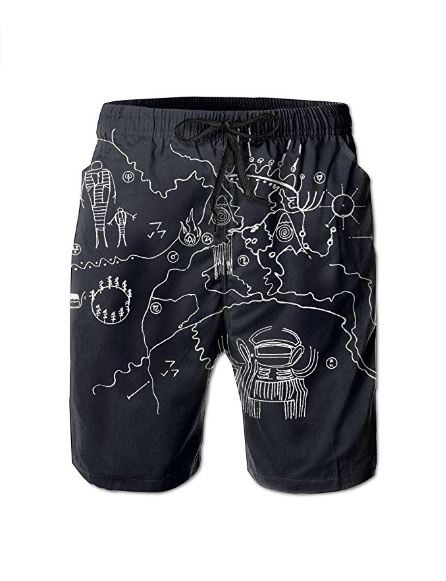 Jeff is very grateful he took Graeme’s recommendation and read Reflections: An Oral History of Twin Peaks by Brad Dukes, and is very sad he won’t be able to buy for Graeme the Men Drawstring Waist Twin Peaks Owl Cave Map Shorts for Men! 2:25:08-end: Closing comments! Look for us on Stitcher! Itunes! Twitter together and separately: Graeme and Jeff! Matt! Tumblr, and on Patreon where a wonderful group of people make this all possible, including the kind crew at American Ninth Art Studios and Empress Audrey, Queen of the Galaxy, to whom we are especially grateful for their continuing support of this podcast. Next week: Wait, What? Ep. 233! Due to Jeff’s semi-annual pilgrimage, it will be up later than usual—look for it by Thursday, September 14! Beyond, Beyonder, Beyondest: Jeff Checks in on Secret Wars Stuff.